The Foundation’s advocacy and initiatives break down barriers and create opportunities for women’s economic security. We work to drive policy decisions and funding for our region to maximize opportunities, leading to economic empowerment and family sustainability. The WNY Women’s Foundation supports programs, legislation and initiatives that empower women and promote economic opportunity and gender equity. What is Advocacy? Advocacy requires collective action and strong voices! Be a part of a group of passionate women & men sharing resources and taking action to affect change in Western New York. 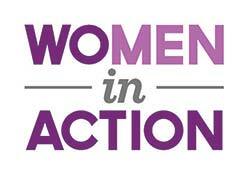 Please follow us on Facebook, Twitter, Instagram, and LinkedIn to stay up to date on advocacy issues and receive timely calls to action so you can speak up for women and girls in our community. Take action now! Find out who your representatives are: NYS Senate; NYS Assembly; US Senate; US House of Representatives. Our Advocacy Agenda promotes gender equity and women’s economic empowerment by convening stakeholders, sharing stories and collective knowledge, and utilizing research and influence to affect policy and funding for the benefit of women and girls in Western New York. We aim to be a leading voice for our community’s women and girls through direct and grassroots advocacy in collaboration with local, state-wide, and national partners. This year’s efforts focus around: Women in the Workforce and Women’s Equity. Access the full report here – 2019 WNYWF Advocacy Agenda. Paid Family Leave: In 2018, New York State implemented the most comprehensive paid family-leave program in the nation. The WNY Women’s Foundation was the first organization to sign on locally to support advocacy efforts to pass the legislation. Child Care Subsidies: Advocacy efforts staved off a massive cut to the already underfunded Child Care Subsidy Program in 2017. These efforts highlighted the systemic issue of how funding allocated across the state is now being addressed through legislation to establish a statewide, childcare task force with formal collaboration between stakeholders. Facilitated Enrollment Child Care Subsidies: This program, available to working families making under 275% of the federal poverty level, was expanded to Erie County in 2016, thus expanding supports available for low-income working parents.